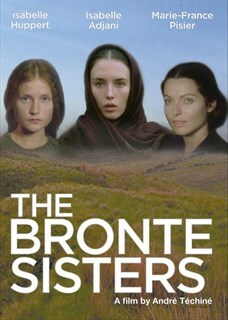 In a remote English village of the 1840s, three sisters – Charlotte, Emily and Anne – live a simple life with their brother, Branwell, and their father, the pastor Patrick Brontë. Although compelled to take up posts as governesses or private tutors, the four loyal siblings continue to nurture their artistic aspirations. Branwell’s poems are beginning to interest other writers and each of the three sisters has published a successful novel. But then tragedy strikes. After a disastrous love affair with an older woman, Branwell succumbs to drugs, drink and depression. Soon after his death, Emily and Anne are struck down by tuberculosis. Will Charlotte’s lot be any better...?